400 Dark light sensor test error (CS11A, CS11B, CS4) during initializing. 1. Check if each sensor is mounted. 2. If error occurs when checking CS11A cable operation, replace a sensor. 3. If error occurs when checking CS11B cable operation, replace a sensor. 4. If error occurs when checking CS4 cable operation, replace a sensor. 20001 Unable to load a cassette. Removed and replace cassette Check the micro-switch located on the inside left wall of the dispenser. 20002 Low cash. Replenish the cash-if using less than 75 bills, disable the ÒLow Cash WarningÓ in the Transaction Setup Menu. 20003 Reject Bin full. Empty the Reject Bin-If the bin is empty, do a Day Total and then a Cassette Total-If than doesnÕt help, check AP, BIOS and CDU ROM versions. 20004 Vault Door is open. Close the vault door. Check door switch. 20005 Cash Dispenser Unit data(country, cassette, shutter)setting error occurs during initialization. 1. Check Cash Dispenser Unit information. 2. check battery back-up SRAM. 20010 Receipt paper jam Remove any jammed paper from the printer. 20011 TPH Headup Lever Open Check Headup Lever. 20012 Receipt printer feed plate open Close the feed plate. 20013 Out of receipt (Receipt paper empthy) Replenish the receipt paper. 20014 Receipt printer head overheated before printing Check the printer head and change if necessary. 20015 The feed lever of the recipt printer is open. It was detected that the feed lever was open before ther receipt printer started to operate. Clear jammed notes or call your service personnel. 20016 Note detected in stacker (shutter or presenter type) Clear any notes from the stacker. 20215 Sensor detects note in delivery path before CDU dispenses Remove note from the CDU delivery path. 21315 CS4 sensor detects note in delivery path befoe CDU dispenses Remove note from the CDU delivery path. 40012 CS3 Dark detection during initializing or Dispense reserved operation 1. Remove the remaining notes or foreign objects on the gate 2. Check if the CS3 sensor bracket is bended. 3. Check if the CS3 sensor cable is disconnected4. Exchange a sensor after abnormal operating CS3 Gate detecting sensor. 40018 CS4B sensor detects note in delivery path before/after CDU dispenses 1. Remove note from the CDU delivery path. 40051 Received a request for over 150 notes dispensing on the Cash Dispenser from the upper unit. 1. Check the Cash Dispenser received command 2. Check the abnormal communication cable. 3. 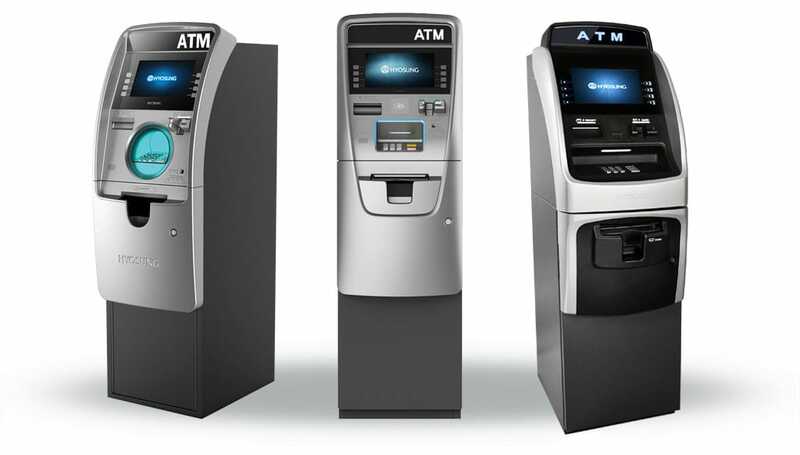 Check the Cash Dispenser firmwave version and refer to specifications. 40052 The remaining notes at the sensor in front of the CST after dispense operation (CS1A, CS1B) 1. Remove the remaining notes at a sensor in front of the CST 2. Realign notes in the cassette 3. Check abnormal clutch. 4. Check abrasion of the cassette box pick unit. 40053 Error for the double note detection during separation. 40058 Retract box position error during command reserved operation 1. Mount the retract box or open the box cover 2. Check if CS62 sensor poll is abnormal 3. Check if the CS62 sensor cable is disconnected (Cash Dispenser Board CN10 #5~2). 40060 Something is detected in C31AB sensor before dispensing bills from 3rd cassette. 40061 Something is detected in C31AB sensor before dispensing bills. 40062 Bills are remained in CS1AB sensor after dispensing bills. 40070 Something is detected on CS41AB sensor before dispensing bills from fourth cassette. 40072 Something is detected on CS41AB sensor during dispensing bills. 40073 Bills is remained in CS41AB sensor after dispensing bills. 40084 Failed to close the CDU shutter (failed ten times retry) 1. Remove foreign objects in the shutter unit. 2. Check the shutter motor connection cable. 3. Check a connection status of the TS004 and TS005 sensor. 4. Check the shutter camÕs rotation operation. 40085 When the command of CDU shutter open or close is received in case of not being set CDU shutter. 40090 Mismatched number of check sheets 1. Check dispensed check and reject check.2. Remove a jammed note on the CDU.3. Remove a dust or foreign objects on the CS13 sensor4. Exchange a sensor after abnormal operating the CS13 sensor ._ Reset number of check sheets after troubleshooting. 40091 Reject error due to check skew during check dispense operation. . Check a checkÕs status in the reject box 2. Remove a dust and foreign objects on the CS31AB or CS41AB sensors. 3. Check the CIU Module Print Head. 4. Realign check sheets in the check cassette box. _ Reset number of check sheets after troubleshooting. 40092 Reject error due to abnormal check interval skew during check dispense operation. 1. Check a checkÕs status in the reject box2. Remove a dust and foreign objects on the CS31AB or CS41AB sensors.3. Check the CIU Module Print Head.4. Realign check sheets in the check cassette box.5. Clean the pick up roller in the check cassette box._ Reset number of check sheets after troubleshooting. 40093 Reject error due to long check sheet during check dispense operation. The same as #40092 handling. 40094 Reject error due to short check sheet during check dispense operation. The same as #40092 handling. 40095 Reject error due to 2 check sheetsÕ pick up during check dispense operation The same as #40092 handling. 40096 Reject error due to the abnormal half of check during check dispense operation. The same as #40092 handling. 40097 Reject error due to abnormal check separation interval skew during check dispense operation. The same as #40092 handling. 40098 Abnormal CIU detecting sensor during check dispense operation 1. Clean CS31AB and CS41AB, or remove foreign objects. 2. Check if the FM Board (3 CST or 4 CST) CN3 and CIU Sensor Cable are connected. 40099 CIU communications response timeout error during check dispense reserved operation or initializing. 1. Reinitialize2. Check if the CIU communications serial cable is connected.3. Check if the CIU power cable is connected. 90001 Card Swipe Error. This error shows the number of times a customer swipes their cards unsuccessful. 97197 In case the dispensed bills are different from the requested ones. 2001300 Out of receipt (Receipt paper empthy) Replenish the receipt paper. 2131500 CS4 sensor detects note in delivery path before CDU dispenses Sensor is located along the delivery path right before the reject bin. Remove note from the CDU delivery path. 3001100 To show that status signal for shutter openis not received while shutter is open. 3001200 To show that the Sensor is damaged or more that one card is inside ICRW. 3001700 To show that the card was not carried to the specific location after specified number of trial for specified time during execution of RETRIEVE command. 3001800 To show that shutter open/close detection sensor(SW2) and card width check sensor(SW1) are not operating correctly. 3002100 To show that read error has happened in Multiple magnetic read command. 3002200 To show that write error is detected through write/verify procedure. 3002500 To show that quality error(Jitter,Preamble,Postamble) has happended in write verify. 3002600 To show that the track has no SS. 3002900 To show that the discordance of write data has happened in write verify. 3003000 To show that power down(or power cut in short instant)is detected(or being detected). 3004000 To show that the card was pulled out form ICRW through entrance date when CAPTURE command is being executed. 3004100 Failure at IC Contact solenoid or sensor ICD. 3004300 Card could not be set to IC contack position/Failure at sensor PDI. 3004500 ICRW lost sight of the card when ICRW completed to carrry the card to dhe rear position during the card acceptance, and ICRW ejected the card to entrance gate. 3004600 To show that the ejected card has not been withdrawn during execution of Monitoring for removal command. 3005100 To show that Motor error has happened, through start/stop check in Initialize command. 3005300 To show that read error in Digital Decode Read Command. 3006000 To show that there found abnormal condition on the power-line. 3006100 The receiving error for ATR. 3006200 To show that the specified protocol does not agree with that of ICC/SAM ICRW still connected. 3006300 In case T=1 cards, after ATR receiving, IFS exchange is failed. ICRW detects time out. 3006400 In case T=1 cards, after ATR receiving, IFS exchange is failed. ICRW detects protocol error. 3006500 HOST tried to communicate with IC card without card activation. 3006600 ICRW tried to activate with ICC/SAM, but the card returned ATR, which is not supported. 3006900 ICRW tried to activate with ICC/SAM, but the card returned ATR, Which does not match EMV. 3007000 Failure at F-ROM operation. 3007100 Firmware of User program code area is wrong. 4005100 Received a request for over 150 notes dispensing on the Cash Dispenser from the upper unit. 1. Check the Cash Dispenser received command2. Check the abnormal communication cable.3. Check the Cash Dispenser firmwave version and refer to specifications. 4005200 The remaining notes at the sensor in front of the CST after dispense operation (CS1A, CS1B) 1. Remove the remaining notes at a sensor in front of the CST2. Realign notes in the cassette3. Check abnormal clutch.4. Check abrasion of the cassette box pick unit. 4005800 Retract box position error during comman reserved operation 1. Mount the retract box or open the box cover2. Check if CS62 sensor poll is abnormal3. Check if the CS62 sensor cable is disconnected (Cash Dispenser Board CN10 #5~2). 7000100 ItÕs impossible to read the version after transferring to the CduSetup menu. 7000200 ItÕs impossible to read the version after CDU Setup. 7000300 UserÕs setting values are different from the actual written setting value. 9900006 MCR does not have keys that decipher the data. 9900012 sensor failure of PD1,PD2,PD3,PDI/Card remains inside. 9900046 The ejected card has not been withdrawn until the specified time. 400000000 Dark light sensor test error (CS41A, CS41B) during initializing. 1. Check the CDU information setting (4 Cassettes). 2. Check if each sensor is mounted. 3. If error occurs when checking the CS31B(4 CST FM B/D CN3) disconnection operation, replace a sensor. 4. Check if 3 Cassette FM B/D CN2 and 4 Cassette FM B/D CN1 are connected. 5. Check settings of 4 Cassette FM Board Dip Switch (#3, #5, #6 On) 6. If error occurs when checking the CS31A (4 CST FM B/D CN3) disconnection operation, replace a sensor. 4000000000 Dark Light Test Error (CS10, CS9) during initializing 1. Check if each sensor is mounted. 2. If error occurs when checking CS 10 disconnection operation, replace a sensor. 3. If error occurs when checking CS 9 disconnection operation, replace a sensor. 40000000000 Dark light sensor test error (CS14, CS10) during initializing. 1. Check if each sensor is mounted. 2. If error occurs when checking CS14 cable operation, replace a sensor. 3. If error occurs when checking CS10 cable operation, replace a sensor. (RBS-LYNK) Invalid Transaction/Amount.Surcharge screen should have been displayed. 21A15 CS1A sensor detects note in delivery path before CDU dispenses.Sensor is located along the delivery path right after where the note exits the 1st cassette. Remove note from the CDU delivery path. 21A1500 CS1A sensor detects note in delivery path before CDU dispenses.Sensor is located along the delivery path right after where the note exits the 1st cassette. Remove note from the CDU delivery path. 21B15 CSB sensor detects note in delivery path before CDU dispensesSensor is located along the delivery path right after where the note exits the 1st cassette. Remove note from the CDU delivery path. 21B1500 CSB sensor detects note in delivery path before CDU dispensesSensor is located along the delivery path right after where the note exits the 1st cassette. Remove note from the CDU delivery path. 24A15 CS3A sensor detects note in delivery path before CDU dispensesSensor is located along the delivery path right after where the note exits the 3rd cassette. Remove note from the CDU delivery path. 24A1500 CS3A sensor detects note in delivery path before CDU dispensesSensor is located along the delivery path right after where the note exits the 3rd cassette. Remove note from the CDU delivery path. 24B15 CS3B sensor detects note in delivery path before CDU dispensesSensor is located along the delivery path right after where the note exits the 3rd cassette. Remove note from the CDU delivery path. 24B1500 CS3B sensor detects note in delivery path before CDU dispensesSensor is located along the delivery path right after where the note exits the 3rd cassette. Remove note from the CDU delivery path. 2XX15 Cash Dispenser detects Remove any jammed bills from the dispenser. 300B000 Received the other command before executing Initialize command. 4005A Mounting/demounting 2 Cassette during dispense operation 1. Check notesÕ status in 2 Cassette 2. Check 2 cassette specifications 3. Check if the CS17 sensor cable is disconnected 4. Exchange a sensor after abnormal operating the CS17 sensor . 4006A CS15AB ~ CS13 Time out(Jam) during dispensing bills from second cassette. 4007A CS31AB ~ CS13 Time out (Jam) during dispensing bills from fourth cassette. 4007D Trying to dispense bills from 4th cassette but the 4th cassette doesn't installed. 4007D00 Trying to dispense bills from 4th cassette but the 4th cassette doesn't installed. 4009A CS31AB~CS13 Time out(Jam) during dispensing from 3rd cassette. 4009A CIU communications response timeout error during check dispense reserved operation or initializing. The same as #40099 handling. 4009C Detected the CS31B Dark during initializing or dispense reserved operation 1. Remove the remaining notes and foreign objects at the position of the CS31B sensor.2. Check settings of 3 Cassette FM Board Dip Switch (#2, #4, #6 On)3. Check if the CS31B and CS31B sensor cables are disconnected4. Exchange a sensor after abnormal operating the CS31B. 4009D Trying to dispense bills from 3rd cassette but the 3rd cassette doesn't installed. 4009D 3 Cassette not available during dispense reserved operation 1. Mount 3 cassette 2. Check if the CDU Board CN6 and 3 Cassette FM Board CN1 are connected. 3. Check settings of 3 Cassette FM Board Dip Switch (#2, #4, #6 On) 4. Check if the CS37 sensor cables are disconnected (3 CST FM B/D CN3). 5. Exchange a sensor after abnormal operating the CS37 sensor . 4009D00 Trying to dispense bills from 3rd cassette but the 3rd cassette doesn't installed. 4009E Mounting/demounting 3 Cassette during dispense operation 1. Check notesÕ status in 3 Cassette 2. Check 3 cassette specifications 3. Check if the CDU Board CN6 and 3 Cassette FM Board CN1 are connected. 4. Check settings of 3 Cassette FM Board Dip Switch (#2, #4, #6 On) 5. Check if the CS37 sensor cable are disconnected (3 CST FM B/D CN3). 6. Exchange a sensor after abnormal operating the CS37 sensor . 4009F 3 Cassette miss feed during dispense operation 1. Check the remaining notes in 3 Cassette 2. Check if the remaining note sensor (CS36) of 3 Cassette is normal. 3. Check a jammed note in 3 Cassette or remount it 4. Remove the dust on the CS31A and CS31B Sensors 5. Replace 3 cassette box when multiple errors occur. 400A2 When a note doesnÕt arrive from the tray to the throat entrance (CS10AB~CS14 (Delivery Jam). 1. Remove a jammed note or foreign objects between the throat and the tray 2. Check if the CS10AB and CS14 sensor cable is disconnected. 3. Check the feed motor operation in the throat unit. 4. Exchange a sensor after abnormal operating the CS14 sensor . 400AA Failed during writing EEPROM data 1. Retry after initialization. 2. Replace the CDU Board. 400AB Disable to drive due to the remaining notes in the tray during initializing or dispense reserved operation. (CS10A and CS10B Dark detection) 1. Remove the remaining notes or foreign objects in the tray. 2. Check if holders on the CS10A and CS10B sensors are bended. 3. If error occurs when checking CS10A/CS10B (CDU B/D CN2 #17~24) disconnection and operation, replace a sensor. 400AD Disable to detect notes in CS15 sensor during delivery operation 1. Remove the remaining notes on the throat. 2. If error occurs when checking CS15 disconnection and operation, replace a sensor. 400AE No note in the tray before delivery or retract operation. 1. If error occurs when checking CS (CDU B/D CN2 #17~24) disconnection and operation, replace a sensor. 2. Check the tray deliver position operation. 400AF Received the wrong life test command from the upper unit. 1. Check the CDU received command2. Check the abnormal communication cable.3. Check the CDU firmware version and refer to specifications. 400B0 Opened shutter during dispense operation. 1. Check the shutter camÕs rotation.2. If error occurs when checking TS004 disconnection and operation, replace a sensor. 400BC Communication error - Command Length doesn't match. 400BC Communication error-Command Length doesnÕt match. 400BE Bill rejection error (Normal recognition for long bill-CS4)/CS4 Jam. 400C1 1 Cassette Jam during dispense operation (1 CST Encoder Error). 1. Remove a jammed note in 1 Cassette.2. Mount 1 cassette box after realigning notes in 1 cassette box.3. Remove foreign objects on 1 Cassette Clutch Encoder Slit.4. Replace 1 cassette box when multiple errors occur. 400C100 Cassette Jam during dispense operation(1 CST Encoder Error). 1.Remove a jammed note in 1 Cassette. 2.Replace 1 cassette box when multiple errors occur. 400C2 2 Cassette Jam during dispense operation (2 CST Encoder Error). 1. Remove a jammed note in 2 Cassette.2. Mount 2 cassette box after realigning notes in 1 cassette box.3. Remove foreign objects on 2 Cassette Clutch Encoder Slit.4. Replace 2 cassette box when multiple errors occur. 400C200 Cassette Jam during dispense operation(2 CST Encoder Error). 1.Remove a jammed note in 2 Cassette. 2.Replace 2 cassette box when multiple errors occur. 400C3 3 Cassette Jam during dispense operation (3 CST Encoder Error). 1. Remove a jammed note in 3 Cassette.2. Mount 3 cassette box after realigning notes in 1 cassette box.3. Remove foreign objects on 3 Cassette Clutch Encoder Slit.4. Replace 3 cassette box when multiple errors occur. 400C300 Cassette Jam during dispense operation (3 CST Encoder Error). 1.Remove a jammed note in 3 Cassette 2.Replace 3 cassette box when multiple errors occur. 400C4 4 Cassette Jam during dispense operation (4 CST Encoder Error). 1. Remove a jammed note in 4 Cassette.2. Mount 4 cassette box after realigning notes in 1 cassette box.3. Remove foreign objects on 4 Cassette Clutch Encoder Slit.4. Replace 4 cassette box when multiple errors occur. 400C7 CS 14 Dark detection during initializing or dispense reserved operation. 1. Remove the remaining notes and foreign objects at the position of the CS 14 sensor 2. If error occurs when checking CS 14 disconnection and operation, replace a sensor. 400C8 CS 15 Dark detection during initializing or dispense reserved operation. 1. Remove the remaining notes and foreign objects at the position of the CS 15 sensor 2. If error occurs after checking CS 15 disconnection and operation, replace a sensor. 400CC Bill is remained on the sensor in front of cassette during resetting. 400CC Detected the remained notes on the sensors in front of cassettes during re-driving. 400D0 Feeding time out due to jam (CS14) around throat assembly during delivery operation 1. Remove a jammed note or foreign objects between the throat and the tray 2. Check if the CS 14 sensor cable is disconnected. 3. Check the feed motor operation in the throat unit. 4. Exchange a sensor after abnormal operating the CS 14 sensor . 400D2 Feeding time out due to jam (CS10AB) around throat assembly during delivery operation 1. Remove a jammed note in the throat. 2. Check external light source of the CS10 AB sensor. 3. Check the feed motor operation in the throat unit . 4. If error occurs when checking CS10 AB sensor operation, replace a sensor. 400D3 The remaining notes on the tray during delivery operation (some notes remaining on CS10AB) The same as #400D2 handling. 400D5 The remaining notes on the tray during delivery operation (some notes remaining on CS10AB) The same as #400D2 handling. 400DB Detected the CS41A Dark during initializing or dispense reserved operation 1. Check 4 Cassette specifications for CDU Version.2. Remove the remaining notes and foreign objects at the position of the CS41A sensor.3. Check if 3 Cassette FM B/D CN2 and 4 Cassette FM B/D CN1 are connected.4. Check settings of 4 Cassette FM Board Dip Switch (#3, #5, #6 On)5. Check if the CS41A sensor cable is disconnected (4 CST FM B/D CN3).6. Exchange a sensor after abnormal operating the CS41A sensor. 400DC CS41B Dark detection during initializing or dispense reserved operation 1. Check 4 Cassette specifications for CDU Version. 2. Remove the remaining notes and foreign objects at the position of the CS41B sensor. 3. Check if 3 Cassette FM B/D CN2 and 4 Cassette FM B/D CN1 are connected. 4. Check settings of 4 Cassette FM Board Dip Switch (#3, #5, #6 On) 5. Check if the CS41B sensor cable is disconnected (4 CST FM B/D CN3). 6. Exchange a sensor after abnormal operating the CS41B sensor. 400DD 4 Cassette not available during dispense reserved operation 1. Mount 4 cassette1. Mount 4 cassette 2. Check if 3 Cassette FM B/D CN2 and 4 Cassette FM B/D CN1 are connected. 3. Check settings of 4 Cassette FM Board Dip Switch (#3, #5, #6 On) 4. Check if the CS37 sensor cables are disconnected (4 CST FM B/D CN3). 5. Exchange a sensor after abnormal operating the CS47 sensor . 400DE Mounting/demounting 4 Cassette during dispense operation 1. Check notesÕ status in 4 Cassette 2. Check 4 cassette specifications 3. Check if 3 Cassette FM B/D CN2 and 4 Cassette FM B/D CN1 are connected. 4. Check settings of 4 Cassette FM Board Dip Switch (#3, #5, #6 On) 5. If error occurs when checking the CS47Õs (4 CST FM B/D CN3) disconnection and operation, replace a sensor. 400DF 4 Cassette miss feed during dispense operation 1. Check the remaining notes in 4 Cassette 2. Check if the 4 Cassette remaining note sensor (CS46) is normal. 3. Check a jammed note in 4 Cassette or remount it 4. Remove the dust on the CS41A and CS41B sensors. 5. Replace 4 cassette box when multiple error occur. 400EA Dark light sensor test error (CS18,28,38,48).during initializing. 400F0 Disabled to drive due to throat jam during forced initialization. 1. Remove the remaining notes and foreign objects in the throat unit. 400F3 Time out due to Jam (CS15) during initializing or retract process. 400F6 Failed to fall down bills during forced initializing and retract operation 1. Remove the remaining notes and foreign objects in the throat unit. 2. If error occurs when checking disconnection operation, replace a sensor. 400F8 Time out due to Jam (CS14) during initializing or retract process. 1. Remove the remaining notes and foreign objects in the throat unit. 400FE Reject transaction happens again during bundle reject mode. 971A0 In case the dispensed denominations are different from the requested ones. 971A1 In case the dispensed currency is different from the requested one. 971B000 In case of being executed Reject or Retract command without being the bills in stacker. 971DX00 In case partial bills dispensed by dispensing demand when Partial Dispense option is on._ ÒXÓ means cassette number. 99000A1 There is a card at the lead line. 99000A5 The card jam at the hopper. A0101 Open lever detected before executing command Close the feed lever. A010100 Detecting the lever opened before executing command Close the feed lever. A0102 Printer thermal head overheated while executing command Check the thermal printer head and change if necessary. A0103 Paper jam detected before executing command Remove any jammed paper from the printer. A0104 Paper setting error detected before executing command Remove and re-install the receipt paper. A0105 Paper check error detected before executing command Remove and re-install the receipt paper. A0108 Paper cutter software check error detected before executing command Check for and remove any jammed paper. A0801 Open lever detected while executing command Remove any jammed paper. A0802 Receipt printer head overheated while printing Check the thermal printer head and change if necessary. A0803 Paper jam detected while executing command Remove and re-install the receipt paper. A0804 Paper setting error detected before executing command Remove and re-install the receipt paper. A0805 Paper check error in doing command Remove any jammed paper. A0808 Paper cutter software check error detected while executing command Check for and remove any jammed paper. ADN01 No response detected for 30 seconds after sending command Check cable and connection between the CE and printer. ADN0F No response detected for 30 seconds after sending command Check cable and connection between the CE and printer. ADN11 No response detected after 3 retries Check cable and connection between the CE and printer. ADN12 No response detected between ENQ-ACK after 5 retries of ENQ Check the cable and connection between the CE and printer. ADN13 No response detected after 5 retries because of timeout between STX-BCC interval Check cable and connection between the CE and printer. ADNXX Printer connection error. Check cables between Print and Main board. Remove cables (even though they are attached) and reconnect. AXXX1 Receipt Printer feed lever open-during operation. Close the feed lever in the printer. AXXX2 Thermal printer is Over heated-during operation. If problem is consistent then print head assembly may be defective. AXXX3 Receipt paper jam. Remove jammed paper- Release receipt paper drawer by pressing the tab with the green sticker located at the front of the printer. Axxx6 DIP MCR latch failure Call your service personnel. AXXX7 Feed Lever Opened. Check feed lever and sensor pollution. AXXX8 Receipt paper cutter error. If consistent, printer will require repair/replacement. C0001 ~ C002F The feed lever of the receipt printer is open. It was detected that the feed lever was open while the receipt printer was operating. Clear the note path or call your service personnel. C001X CDU sensor is tripped. Most typically a C0011 error, this would indicate a bill jam at the exit sensor of the cash Dispenser. Usually caused by a customer putting fingers in the cash drawer during dispense. C002X CDU sensor is tripped. Check dispenser for jammed bills and restart the machine. C0031 CDU gate solenoid echo error Check the dispenser gate solenoid cable and connection. C003100 CDU gate solenoid echo error Check the dispenser gate solenoid cable and connection. C0032 CDU outlet solenoid echo error Check the dispenser outlet solenoid cable and connection. C003200 CDU outlet solenoid echo error Check the dispenser outlet solenoid cable and connection. C0033 CDU checksum error (no dispenser information is set) Check the dispenser information using the CDU Test Program. C003300 CDU checksum error (no dispenser information is set) Check the dispenser information using the CDU Test Program. C0034 CDU double detect module failure 1 (while re-dispensing) Check for notes in the dispenser double detect module. C003400 CDU double detect module failure 1 (while re-dispensing) Check for notes in the dispenser double detect module. C0035 CDU double detect module failure 2 (before dispensing) Check the dispenser double detect lever. C003500 CDU double detect module failure 2 (before dispensing) Check the dispenser double detect lever. C0036 CS4 Sensor is blocked before initializing Check for any notes and remove. C003600 CS4 Sensor is blocked before initializing Check for any notes and remove. C0037 CS7 sensor which detects double note is blocked while dispensing note Check connection and for pollution in sensor. C003700 CS7 sensor which detects double note is blocked while dispensing note Check connection and for pollution in sensor. C0038 SRAM check error Check for any notes and remove. C003800 SRAM check error Check for any notes and remove. C003A Request more than 4 notes in test mode Reset the demand to less than 4 in the CE. C003A00 Request more than 4 notes in test mode Reset the demand to less than 4 in the CE. C003B CS1A, CS1B, and CS2 sensors is block while initializing Check for any notes and remove. C003B00 CS1A, CS1B, and CS2 sensors is block while initializing Check for any notes and remove. C0040 Cassette missed while dispensing note Check the seating of the cassette. C004000 Cassette missed while dispensing note Check the seating of the cassette. C0041 Execeeded 5 re-initializations Check the note quaility. C004100 Exceeded 5 re-initializations Check the note quality. C0042 Mismatch between requested notes and dispensed notes Check delivery path for any notes and remove. C004200 Mismatch between requested notes and dispensed notes Check delivery path for any notes and remove. C0043 Exceeded 10 rejected notes during a single dispense transaction Check the note quality. C004300 Exceeded 10 rejected notes during a single dispense transaction Check the note quality. C0044 5 consecutive rejected notes during a single dispense transaction Check the note quality. C004400 5 consecutive rejected notes during a single dispense transaction Check the note quality. C0045 Over-dispensing notes Check the number of dispensed notes and note quality. C004500 Over-dispensing notes Check the number of dispensed notes and note quality. C0046 Program error Reload EP program. C004600 Program error Reload EP program. C0047 1st cassette misfeed error Check notes in the cassette. C004700 1st cassette misfeed error Check notes in the cassette. C0048 Dispense command error (wrong count) Check notes and note information using the CDU Test Program. C004800 Dispense command error (wrong count) Check notes and note information using the CDU Test Program. C0049 Requested 0 notes Modify command error in CE. C004900 Requested 0 notes Modify command error in CE. C004A Dispense timeout from CS1 to CS4 Check for any notes in the delivery path and remove. C004A00 Dispense timeout from CS1 to CS4 Check for any notes in the delivery path and remove. C004B 3 consecutive rejects due to long-note detect Check the note quality. C004B00 3 consecutive rejects due to long-note detect Check the note quality. C004C Exit count is greater than the CS1A/B pass-through count (count mismatch) Check the number of dispensed notes. C004C00 Exit count is greater than the CS1A/B pass-through count (count mismatch) Check the number of dispensed notes. C004D Cassette is not in suitable position before dispensing note Check the seating of the cassette. C004D00 Cassette is not in suitable position before dispensing note Check the seating of the cassette. C004E Too many notes dispensed Check the number of dispensed notes. C004E00 Too many notes dispensed Check the number of dispensed notes. C004F Miscount of notes between sensors. Test CDU using diagnostics. Verify amount of dispensed notes versus requested notes. C0050 Power down while dispensing notes Check the number of dispensed notes. C005000 Power down while dispensing notes Check the number of dispensed notes. C0051 Too many notes requested Modify command error in CE. C005100 Too many notes requested Modify command error in CE. C0052 CS1A, CS1B detected after dispensing Check for any notes in the delivery path and remove. C005200 CS1A, CS1B detected after dispensing Check for any notes in the delivery path and remove. C0053 CDU double detect module failure (while dispensing)Double notes detected Check the dispenser sensors. Check double detect component. C005300 CDU double detect module failure (while dispensing)Double notes detected Check the dispenser sensors. Check double detect component. C0054 CDU program error Modify the dispenser EP program. C005400 CDU program error Modify the dispenser EP program. C0055 Long note detected (CS13 sensor) Check the note quality. C005500 Long note detected (CS13 sensor) Check the note quality. C0056 Reject gate is not in the correct position during reject Check the seating of the reject bin. C005600 Reject gate is not in the correct position during reject Check the seating of the reject bin. C0057 Cassette information is not properly set. Set information of Cash Dispenser Unit if error is not cleared after power Off/On. C0058 Reject bin is not in the correct position Check the seating of the reject bin. C005800 Reject bin is not in the correct position Check the seating of the reject bin. C0059 Initial jam time error Check the seating of the cassette. C005900 Initial jam time error Check the seating of the cassette. C005A Cash cassette 1 removed prior to dispenser. 1. Set cassette again. 2. Check CS7(NS16) 3. Check related logic of Cash Dispenser Unit board. C005B 2nd cassette misfeed error Check the notes in the cassette. C005B00 2nd cassette misfeed error Check the notes in the cassette. C005C Reject bin note detect error (CS14) Check the reject bin. C005C00 Reject bin note detect error (CS14) Check the reject bin. C005E Dispenser command size check error. Download new EP software. C005F Dispenser command error. 1. Check AP software. 2. Download new EP software. C0060 CS31A, CS31B detected before dispensing Check for sensor pollution and replace if necessary. C006000 CS31A, CS31B detected before dispensing Check for sensor pollution and replace if necessary. C0061 CS31A, CS31B detected after dispenser motor on and before dispensing Check for sensor pollution and replace if necessary. C006100 CS31A, CS31B detected after dispenser motor on and before dispensing Check for sensor pollution and replace if necessary. C0063 CS31A, CS31B detected after dispensing Check for sensor pollution and replace if necessary. C006300 CS31A, CS31B detected after dispensing Check for sensor pollution and replace if necessary. C006A Dispensing timeout error from CS15 to CS4 Check for sensor pollution and replace if necessary. C006A00 Dispensing timeout error from CS15 to CS4 Check for sensor pollution and replace if necessary. C006B CS31A, CS31B detected during initialization Check for sensor pollution and replace if necessary. C006B00 CS31A, CS31B detected during initialization Check for sensor pollution and replace if necessary. C006X Sensor failure. Check sensor for debris. Contact manufacturer. C0070 CS41A, CS41B detected before dispensing Check for sensor pollution and replace if necessary. C007000 CS41A, CS41B detected before dispensing Check for sensor pollution and replace if necessary. C0071 Exceeded 200 note limit Check for sensor pollution and replace if necessary. C007100 Exceeded 200 note limit Check for sensor pollution and replace if necessary. C0072 CS41A, CS41B detected after dispenser motor on Check for sensor pollution and replace if necessary. C007200 CS41A, CS41B detected after dispenser motor on Check for sensor pollution and replace if necessary. C0073 CS41A, CS41B detected after dispensing Check for sensor pollution and replace if necessary. C007300 CS41A, CS41B detected after dispensing Check for sensor pollution and replace if necessary. C007A Dispensing timeout error from CS15 to CS4 Check for sensor pollution and replace if necessary. C007A00 Dispensing timeout error from CS15 to CS4 Check for sensor pollution and replace if necessary. C007B CS31A, CS31B detected error during initialization Check for sensor pollution and replace if necessary. C007B00 CS31A, CS31B detected error during initialization Check for sensor pollution and replace if necessary. C007C 4th cassette misfeed error Check the notes in the cassette. C007C00 4th cassette misfeed error Check the notes in the cassette. C007D 4th cassette taken out before dispensing Check the 4th cassette. C007D00 4th cassette taken out before dispensing Check the 4th cassette. C007X Sensor failure. Check sensor for debris. Contact manufacturer. C0080 CS15A, CS15B detected before dispensing Check for sensor pollution and replace if necessary. C008000 CS15A, CS15B detected before dispensing Check for sensor pollution and replace if necessary. C0081 CS15A, CS15B detected after motor on Check for sensor pollution and replace if necessary. C008100 CS15A, CS15B detected after motor on Check for sensor pollution and replace if necessary. C0082 CS15A, CS15B detected after dispensing Check CS10 sensor and if shutter is working. C008200 CS15A, CS15B detected after dispensing Check CS10 sensor and if shutter is working. C0083 Stacker sensor failure. CDU will require repair/replacement. C0084 Shutter close error. CDU will require repair/replacement. C009A Dispensing timeout error from CS31 to CS4 Check the dispenser. C009A00 Dispensing timeout error from CS31 to CS4 Check the dispenser. C009D No cassette present before dispensing from 3rd cassette Check the 3rd cassette. C009D00 No cassette present before dispensing from 3rd cassette Check the 3rd cassette. C009F 3rd cassette misfeed error Check the notes in the cassette. C009F00 3rd cassette misfeed error Check the notes in the cassette. C00AB Note has been detected on the path before initializing the Cash Dispenser Unit. 1. Remove the jammed note on the path. 2. Check if the sensor is polluted. 3. Check if cable is cut or the connector is wrongly inserted. 4. Check logic related to the sensor in the Cash Dispenser Unit board. C00E0 NS2A, NS2B dark. Check NS2. C00E1 NS4 dark. Check NS4. CANCE Surcharge Cancel. Customer has canceled the transaction at surcharge. CDN01 No response detected after sending command Check cable and connection between the CE and dispenser. CDN0100 No response detected after sending command Check cable and connection between the CE and dispenser. CDN0F No response detected after sending command Check cable and connection between the CE and dispenser. CDN0F00 No response detected after sending command Check cable and connection between the CE and dispenser. CDN11 No response detected after 3 retries of sending command Check cable and connection between the CE and dispenser. CDN1100 No response detected after 3 retries of sending command Check cable and connection between the CE and dispenser. CDN12 No response detected between ENQ-ACK after 5 retries of ENQ Check cable and connection between the CE and dispenser. CDN1200 No response detected between ENQ-ACK after 5 retries of ENQ Check cable and connection between the CE and dispenser. CDN13 No response detected after 5 retries because of timeout between STX-BCC interval Check cable and connection between the CE and dispenser. CDN1300 No response detected after 5 retries because of timeout between STX-BCC interval Check cable and connection between the CE and dispenser. CDNXX CDU connection failure. Check the cable between CDU and mainboard. Remove cables (even though they are of concern only if it is repeated. Outside interference may cause it. D0001 Error while modem initializing Check the modem connection and the modem test. D0002 Reversal transaction failure Check for any CDU error codes and the number of notes dispensed to customer. D000200 Reversal transaction failure Check for any CDU error codes and the number of notes dispensed to customer. D0012 Invalid transaction Check the transaction from the host and try again. D0013 Invalid amount Check the transaction from the host and try again. D0014 Invalid card number Check the transaction from the host and try again. D0024 Exceeds Issuer Withdrawal Limit Check the transaction from the host and try again. D0039 No Credit Account Check the transaction from the host and try again. D0052 No Checking Account Check the transaction from the host and try again. D0053 No Savings Account Check the transaction from the host and try again. D0054 Expired Card Check the transaction from the host and try again. D0055 Incorrect Pin Check the transaction from the host and try again. D0057 Transaction not Permitted ? Card Check the transaction from the host and try again. D005700 Transaction not Permitted ? Card Check the transaction from the host and try again. D0058 Transaction not Permitted ? Terminal Check the transaction from the host and try again. D005800 Transaction not Permitted ? Terminal Check the transaction from the host and try again. D0061 Exceeds Withdrawal Limit Check the transaction from the host and try again. D0075 PIN Tries Exceeded Check the transaction from the host and try again. D0078 No Account Check the transaction from the host and try again. D007800 No Account Check the transaction from the host and try again. D0080 Invalid Date Check the transaction from the host and try again. D0083 Can not Verify PIN Check the transaction from the host and try again. Try different cards. D0086 Can not Verify PIN Check the transaction from the host and try again. Try different cards. D0091 Bank Unavailable Check the transaction from the host and try again. D0092 System Unavailable Check the transaction from the host and try again. D0093 Transaction Serial Number missmatch Check the terminal setting from the host. D0094 Record format missmatch.Check if a proper AP for the host has been loaded. Check the terminal setting from the host. D0095 Routing ID missmatch.Check the routing Identification. Check the terminal setting from the host. D0096 Terminal ID missmatch.Check the terminal Identification. Check the terminal setting from the host. D0097 Response Type missmatch (Reversal) Check the terminal setting from the host. D0098 Response Type missmatch (Day Close) Check the terminal setting from the host. D0099 Response Type missmatch (Config.) Check the terminal setting from the host. D009A Response Type missmatch (Withdrawal/Balance/Transfer) Check the terminal setting from the host. D009A00 Response Type mismatch(Withdrawal/Balance/Transfer) Check the terminal setting from the host. D009B STX error Check the terminal setting from the host. D009C ETX error Check the terminal setting from the host. D009D FS out (after response code) Check the terminal setting from the host. D009E FS out (after retrieval reference number) Check the terminal setting from the host. D009F FS out (after system trace audit number) Check the terminal setting from the host. D00A0 FS out (after account balance) Check the terminal setting from the host. D00A1 FS out (after available balance) Check the terminal setting from the host. D00A2 FS out (after surcharge amount) Check the terminal setting from the host. D00A3 FS out (after authorization response text) Check the terminal setting from the host. D00A4 ETX wrong position Check the terminal setting from the host. D00A5 FS out (after total cash dispense amount) Check the terminal setting from the host. D00A6 FS out (after total non-cash dispense amount) Check the terminal setting from the host. D00A7 FS out (after total surcharge amount) Check the terminal setting from the host. D00A8 FS out (after config surcharge amount) Check the terminal setting from the host. D00A9 ETX out (config) Check the terminal setting from the host. D00AC Invalid data received from the host(MAC data mismatch) Check the terminal setting from the host. D0300 Modem is not responding Check the modem controller. D1200 Transmission error Check the modem controller. D1300 NAK more than 3 times Check host. D1402 Disconnected by rejected call from remote party Try again later. D1403 Disconnected because the local phone was picked up Try again later. D1800 No Dial Tone(in Modem dial connection) 1. Check telephone line connection. 2. Check Modem. D1900 No Answer 1. Check telephone line connection. 2. Check phone number. D2000 Dial Busy Try again later. Check phone number. D2100 Time out(30sec.) for initializing modem before Modem Dial connecting 1. Check telephone line connection. 2. Check Modem. D2200 not receiving EOT from HOST 1. Check telephone line connection. 2. Check Modem. D2300 No response from Host - Dialing time out to Host 1. Check telephone line connection. 2. Check Modem. D230000 No response from Host - Dialing time out to Host Check telephone line connection. Test Modem. Check phone number. D3201 Outbound call is aborted 1. Check telephone line connection. 2. Check Modem. D3202 Fail to dial out 1. Check telephone line connection. 2. Check Modem. DA00100 Expired card Check the valid date of card. DA00200 Unauthorized usage Inquire your service provider. DA00300 PIN error 1. Reenter the password correctly. 2. If the same problem occurs, inject master key again by diagnostics or inquire your service provider. DA00400 Invalid PIN 1. Reenter the password correctly. 2. If the same problem occurs, inject master key again by diagnostics or inquire your service provider. DA00500 Bank unavailable 1. Check the card whether usage or not. 2. Inquire about the problem. DA00600 Card not supported Check the card whether usage or not. DA00700 Insufficient funds Check the fund of account. DA00800 Ineligible transaction Inquire your service provider. DA00900 Ineligible account Inquire your service provider. DA01000 Number of daily withdrawal exceeded Inquire your service provider. DA01100 Cannot process transaction Inquire your service provider. DA01110 TIME OUT Inquire your service provider. DA01200 EXPIRED CARD (RBSLynk) or INVALID SELECTED TRANSACTION ? (STANDARD1/2) or Amount too large (STANDARD3) - EXPIRED CARD Check the valid date of card. - INVALID SELECTED TRANSACTION Check the selected transaction - AMOUNT TOO LARGE Check the input amount during the transaction. DA01300 INVALID (RBSLynk) or INVALID AMOUNT (STANDARD1/2) or ACCOUNT CLOSED (STANDARD3) - INVALID 1. Reenter the password correctly. 2. If the same problem occurs, inject master key again by diagnostics or inquire your service provider. - INVALID AMOUNT Check the input amount during transaction. - ACCOUNT CLOSED Check the account from bank. DA01400 PIN ERROR (RBSLynk) or INVALID CARD (COMMON) - PIN ERROR1. Reenter the password correctly. 2. If the same problem occurs, inject master key again by diagnostics or inquire your service provider.- INVALID CARD Check the card whether usage or not. DA01500 BANK or NETWORK UNAVAILABLE Inquire your service provider. DA01600 Withdrawal limit already reached 1. Check the limit amount of withdrawal. 2. Check the total paid money from ATM. DA01700 Invalid Amount Check the input amount during transaction. DA01800 External decline Inquire your service provider. DA01900 System error Inquire your service provider. DA02000 SURCHARGE DISPLAY FAULT Inquire your service provider. DA02100 UNAUTHORIZED USE (STANDARD1/2) or Routing lookup problem (STANDARD3) Inquire your service provider. DA02200 EXPIRED CARD Check the valid date of card. DA02300 INVALID TRANSACTION Inquire your service provider. DA02400 PIN ERROR (RBSLynk) or EXCEEDS WITHDRAWAL LIMIT (STANDARD1/2) or INSUFFICIENT FUNDS (STANDARD3) - PIN ERROR?1. Reenter the password correctly. 2. If the same problem occurs, inject master key again by diagnostics or inquire your service provider. - INSUFFICIENT FUNDSCheck the fund of account. DA03000 INELIGIBLE TRANSACTION Inquire your service provider. DA03100 INELIGIBLE ACCOUNT Inquire your service provider. DA03200 NETWORK DOWN Inquire your service provider. DA03900 INVALID CREDIT CARD ACCOUNT Inquire about credit card account to bank. DA0400 ENTER WHOLE DOLLARS ONLY Check the denomination of your ATM. DA04100 INSUFFICIENT FUNDS Check the fund of account. DA04200 NO FURTHER WITHDRAWALS Inquire your service provider. DA05000 INVALID PIN 1. Reenter the password correctly.2. If the same problem occurs, inject master key again by diagnostics or inquire your service provider. DA05200 INVALID CHECKING ACCOUNT Check the checking account. DA05300 INVALID SAVINGS ACCOUNT Check the savings account. DA05500 BAD PIN 1. Reenter the password correctly.2. If the same problem occurs, inject master key again by diagnostics or inquire your service provider. DA05700 INVALID TRANSACTION FOR THIS CARD Check the card whether usable or not. DA05800 INVALID TRANSACTION FOR THIS TERMINAL Inquire your service provider. DA06100 EXCEEDS WITHDRAWAL LIMIT Check the amount of withdrawal limit. DA07500 BAD PIN (MULTIPLE TIMES) 1. Reenter the password correctly.2. If the same problem occurs, inject master key again by diagnostics or inquire your service provider. DA07800 NO ACCOUNT EXIST Inquire your service provider. DA08000 INVALID DATE Check local date of ATM. DA08300 NOT VERIFIED PIN 1. Reenter the password correctly.2. If the same problem occurs, inject master key again by diagnostics or inquire your service provider. DA08600 NOT VERIFIED PIN 1. Reenter the password correctly.2. If the same problem occurs, inject master key again by diagnostics or inquire your service provider. DA09000 INVALID TERMINAL TYPE Inquire your service provider. DA09100 INVALID TERMINAL KEY (RBSLynk) or NO BANK RESPONSE (COMMON) Inquire your service provider. DA09200 INVALID ABA, SIC or ACCOUNT NUMBER (RBSLynk) or NO NETWORK RESPONSE Inquire your service provider. DA09300 TERMINAL IS DEACTIVATED Inquire your service provider. DA09500 TEST TRANSACTION FOR OTHER THAN $0.00 (RBSLynk) or MISC. PROCESSING ERROR (STANDARD3) Inquire your service provider. DA09700 EXCEEDING STORE DAILY CREDIT LIMIT Check the maximum credit limit per day. DA09800 EXCEEDING STORE DAILY DEBIT LIMIT Check the maximum debit limit per day. DA11100 Reversal Declined Inquire your service provider. E0001 RMS Port Failure 1. Check telephone line connection. 2. Check RMS Port setting. E000100 RMS port failure 1.Check RMS-related settings. 2.Check if the telephone line is connected and the status of the telephone line. 3.Check if the RMS host is alive. 4.Check the modem controller and logic. E0002 RMS Response Time out 1. Check telephone line connection. 2. Check Modem. E000200 RMS response time-out 1. Check RMS-related settings. 2. Check if the telephone line is connected and the status of the telephone line. 3. Check if the RMS host is alive. 4. Check the modem controller and logic. E0003 RMS Modem Failure 1. Check telephone line connection. 2. Check Modem. E000300 RMS modem failure 1.?Check RMS-related settings. 2.?Check if the telephone line is connected and the status of the telephone line. 3.?Check if the RMS host is alive. 4.?Check the modem controller and logic. E0004 RMS No Dial Tone 1. Check telephone line connection. 2. Check Modem. E000400 RMS no dial tone 1. Check RMS-related settings. 2. Check if the telephone line is connected and the status of the telephone line. 3. Check if the RMS host is alive. 4. Check the modem controller and logic. E0005 RMS MODEM Disconnection time out 1. Check telephone line connection. 2. Check Modem. F0004 Parameter is not properly set (Adver. Text refreshing timer) Enter Ad text refresh timer. F000400 Parameter is not properly set (Adver. Text refreshing timer) Enter Ad text refresh timer. F0005 Parameter is not properly set (Advertisement text) Enter Ad text. F0006 Parameter is not properly set (Dispense limit) Enter Dispense limit. F0008 Parameter is not properly set (Fast Cash) Enter Fast Cash amount. F0009 Master Key Index invalid Check Master key index. F000C Error Retry Timer is not inputted Enter Retry timer. F000D RMS Password is not inputted in RMS Enable Enter RMS password. F000E RMS Phone Number is not inputted in RMS Enable Enter RMS phone number. F0011 Master Key Serial Number is not inputted Enter Master key serial number. F0012 Non-Cash Type text is not inputted Enter Non-cash type text. F0013 Parameter is not properly set Check proper parameters in setting. T1001 Database Access Error Try to download journal and may need to reformat the drive. t500110 Time out between S1 and S2 (jam or long envelop) ? Stack Clear jam. t500120 Time out between S2 and S3 (jam or long envelop) ? Stack Clear jam. t500200 No envelop in entry sensor (wait time 3 sec) ? Insert Retry to insert envelope. t500210 Time out (jam or long envelop) ? Insert Clear jam. t500220 Short envelop ? Insert Retry to insert envelope. t500230 Shutter not open ? Insert Check shutter. t500240 Detect envelop on belt - Insert Clear jam. t500250 Bin in wrong position ? Insert Check bin. t500260 Bin full - Insert Check bin. Clear jam. t500270 Printer head closed ? Insert Check printer head. t500280 Printer head in wrong position ? Insert Check printer head and ink cartridge. t500290 Bin Shutter Open Error ? Insert Check bin shutter. t500310 Shutter not open ? Reject Check shutter. t500330 Time out when envelope moving S2->S1 - Reject Check belts. Clear jam. t500410 Time out - Close shutter Check shutter. t500510 Time out - Open shutter Check shutter. t500600 Check Sum Error ? Download Try download again. Check EP. t500610 Unknown Device type ( non-support Flash Memory) ? Download Check Memory device type. t500620 Erase Error(Flash Memory Erase) ?Download Check Memory device type. t500630 Flash Memory Sector size error ? Download Check Memory device type. t500640 Program Error(fail to write Flash memory) ? Download Try download again. Check EP. Check Memory device type. t500700 Print Data Error ( char > 50 ) - Print Check EP. t500710 Printer jam ? Print Check printer. t500720 Envelope in wrong position for printing ( S2, S3 no detection ) ? Print Check envelope. Clear jam. t500730 Printer head closed ? Print Check printer head. t500810 Time out ? Open Printer head Check printer head. t500820 Detect envelope on S3 or S4 ? Open Printer head Check envelope. Clear jam. t500910 Time out ? Close Printer head Check printer head. t500920 Detect envelope on S3 or S4 ? Close Printer head Check envelope. Clear jam. t501000 Printer head Close Error ? Pre-fire Check printer head. t501010 Printer head position Error ? Pre-fire Check printer head and ink cartridge. t501100 Shutter Open Error ? Initialize Check shutter. t501110 Shutter Close Error ? Initialize Check shutter. t501120 Printer head Open Error ? Initialize Check printer head. t501130 Detect envelop on the belt ? Initialize Check envelope. Clear jam. t501140 Printer head Close Error ? Initialize Check printer head. t501150 No bin detected - Initialize Check bin. t501160 Fail to operate Solenoid ? Initialize Check solenoid. t501170 Printer head in wrong position ? Initialize Check printer head and ink cartridge. t501180 Bin shutter Open Error - Initialize Check bin shutter.